Work had started on Fort Siloso. A coast battery destined to see action in the Second World War, and to be the last active coast battery in Singapore. 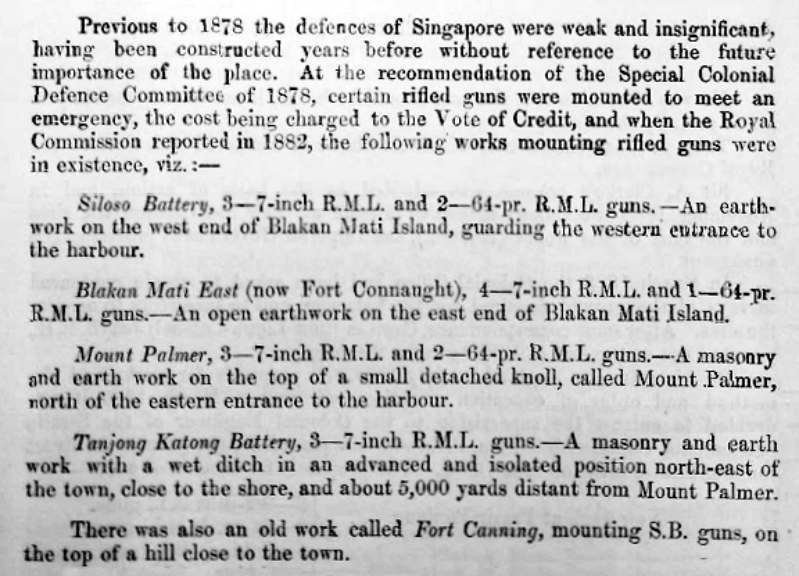 Of the remaining batteries, Mount Imbiah Battery is in very good condition, as in Labrador Park are substantial remains of Fort Pasir Panjang and Batu Berlayar AMTB Battery. There are also some visible remains of Labrador Battery. With the exception of Batu Berlayar Battery which is gated, these batteries are easily accessible. There are, for the explorer, remains of several other batteries to be found on Singapore, but caution needs to be exercised when visiting them. Some are in very poor order, and can be hazardous to visitors. There may be more remaining than many people think, although some of these remains are in restricted areas, or otherwise are inaccessible. Reference is made to some such areas in this website. 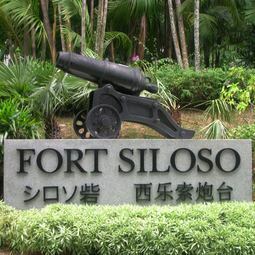 The word ‘Fort’ is something of a misnomer when applied to Siloso and other gun batteries in Singapore. Only Fort Tanjong Katong was built as a stand-alone defensible gun battery. This because of it's location, which was a little remote when it was constructed. Admission to the fort is free, and there are guides for visitors who wish to make pay for a guided tour. Inside the fort is the Surrender Chamber, in which are displays of the British Surrender in February 1942, and of the Japanese Surrender at City Hall in September 1945. Entry to the Surrender Chamber is free. 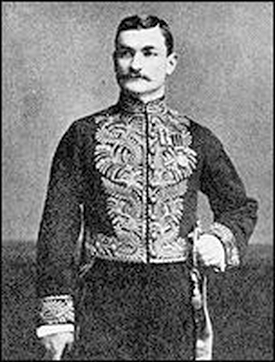 The photographs in this website have been taken over a period of many years. The various colour schemes adopted by the owners of the Fort may appear in a particular sequence of photos. 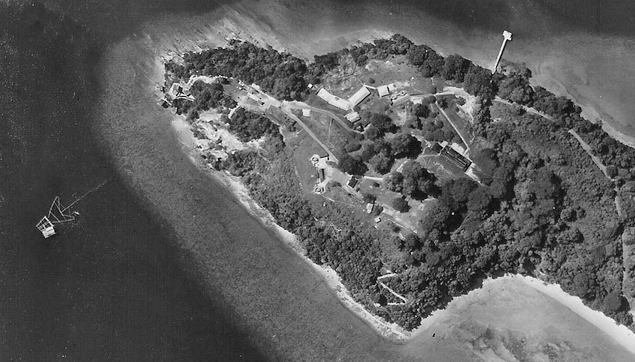 The Fort was painted in a camouflage scheme during WWII and later. this is seen in some photos. NOTE: This website is a personal one, and is not in any way, connected with the Sentosa Leisure Group, who manage Fort Siloso. I am therefore unable to assist with, or reply to, requests for photography, filming, guided tours etc. Any such requests should be made to the Sentosa Development Corporation. www.sentosa.com.sg. The Sentosa Leisure Group who manage the Fort Siloso, approve of this website. Their assistance with information, photographs and access to restricted areas is appreciated.